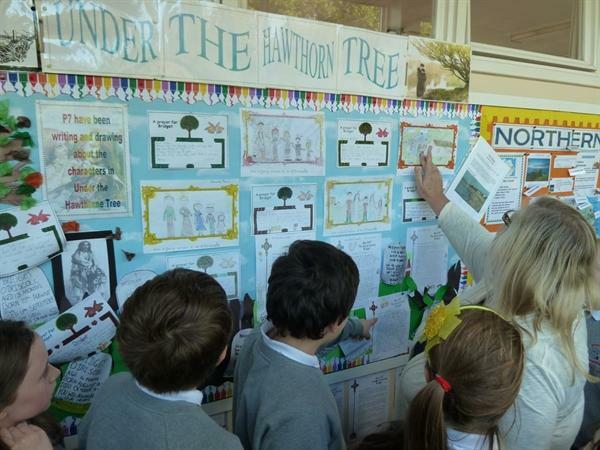 P7 have been reading Under the Hawthorn Tree in class and working on various tasks linked to the book. 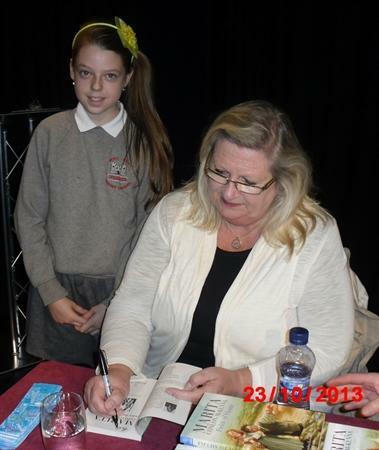 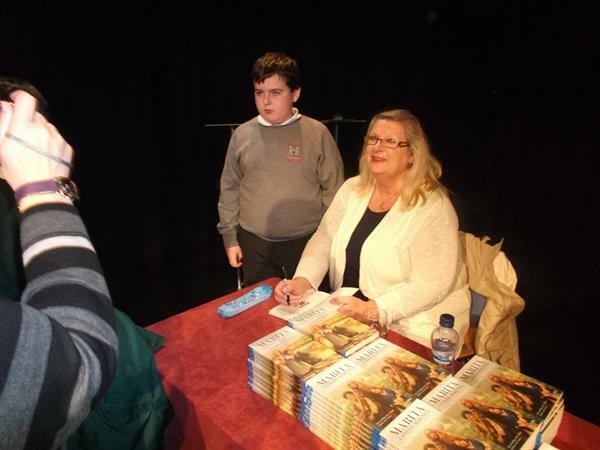 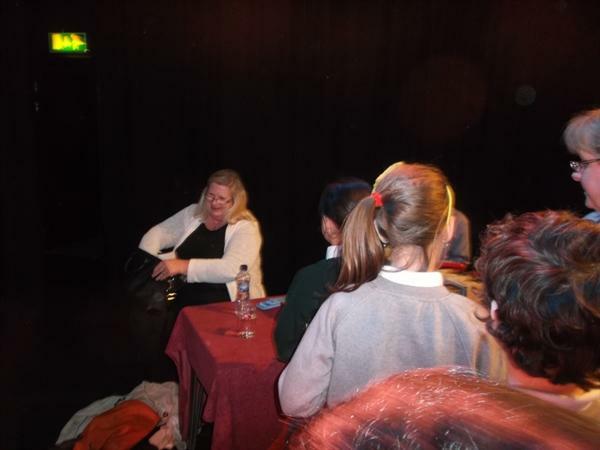 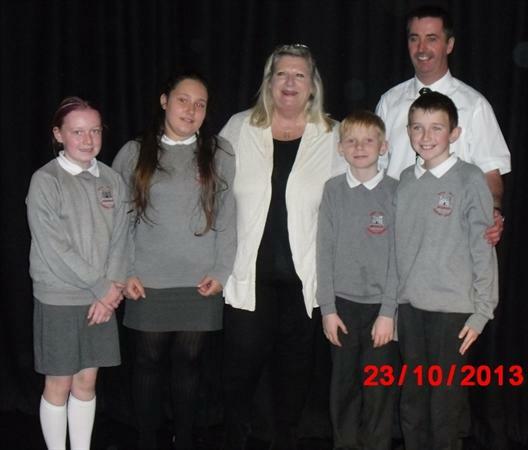 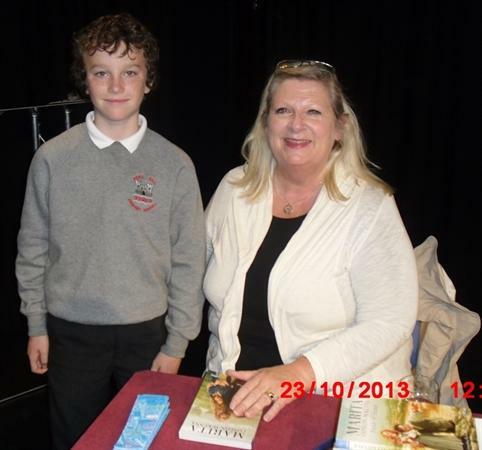 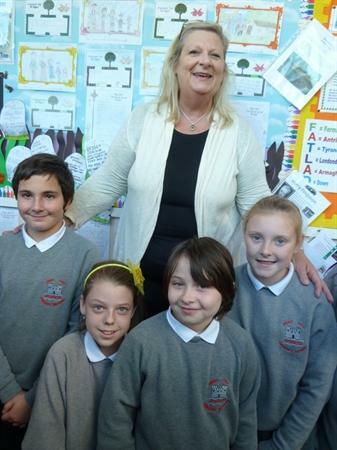 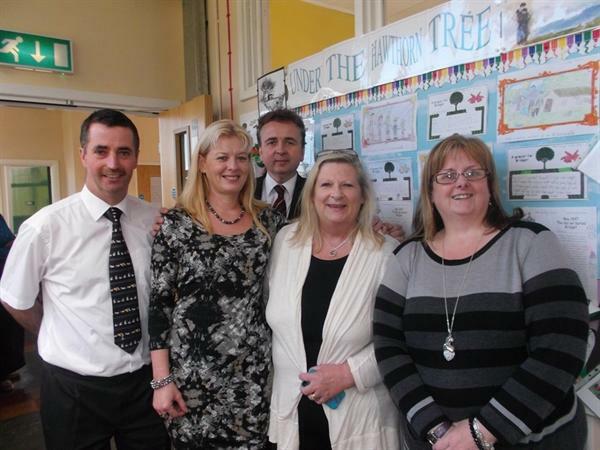 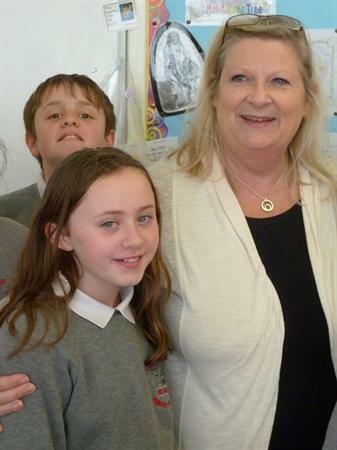 On Wednesday 23rd October they were very lucky to meet the author Marita Conlon-McKenna over in Lisburn Civic Centre. 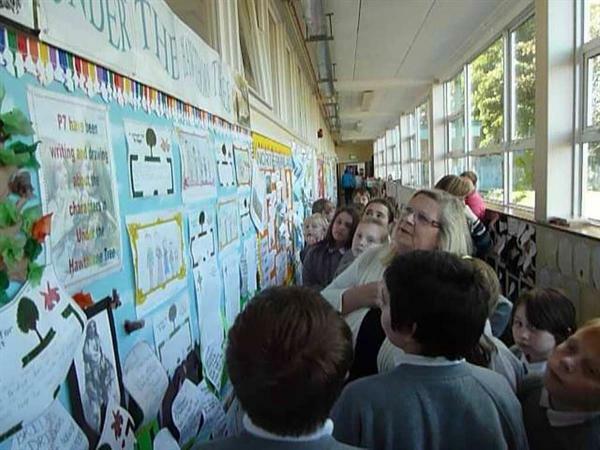 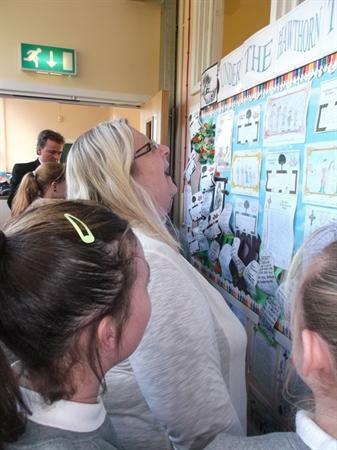 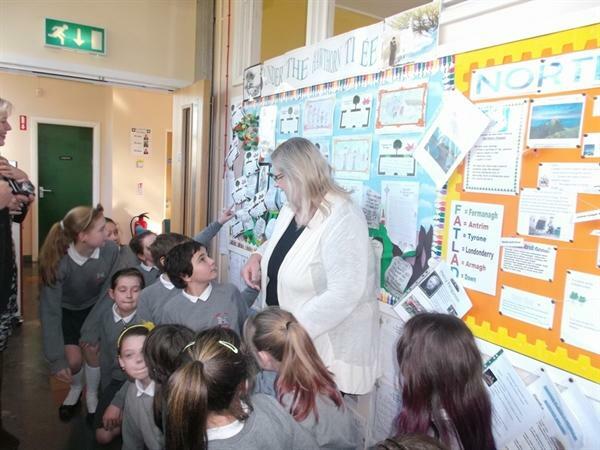 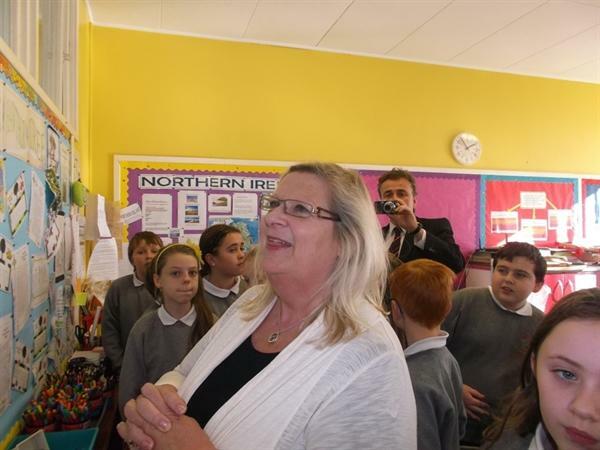 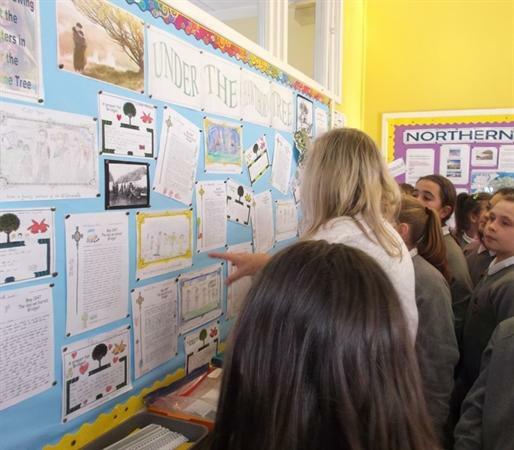 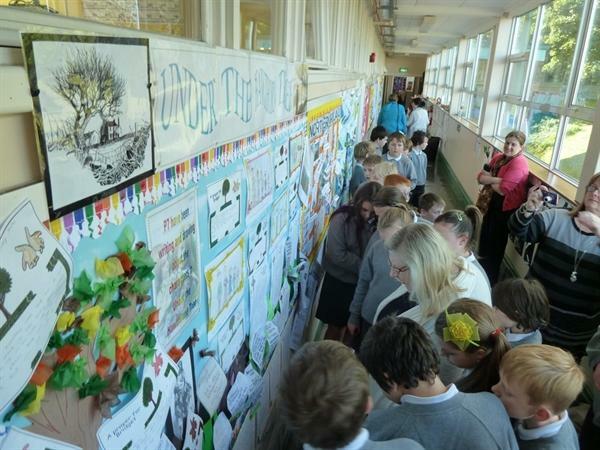 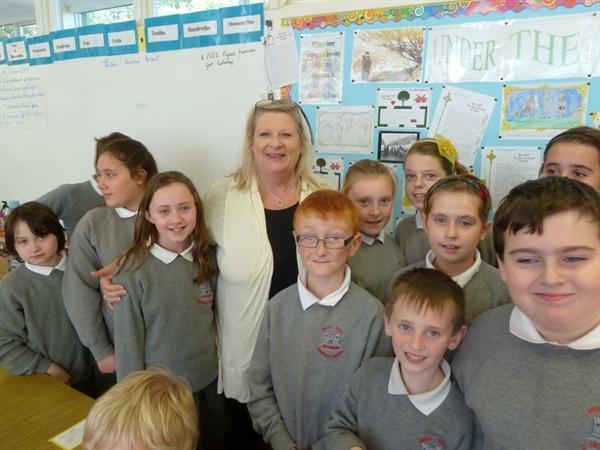 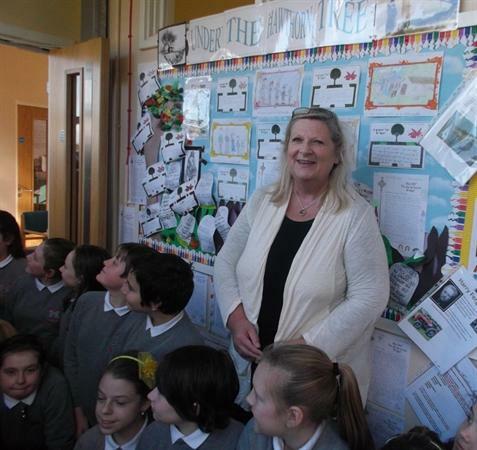 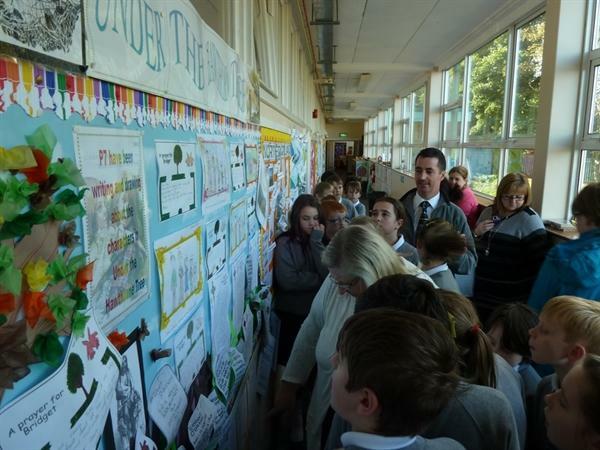 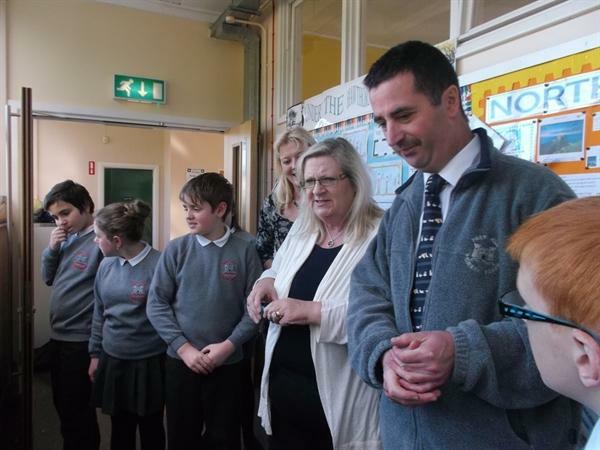 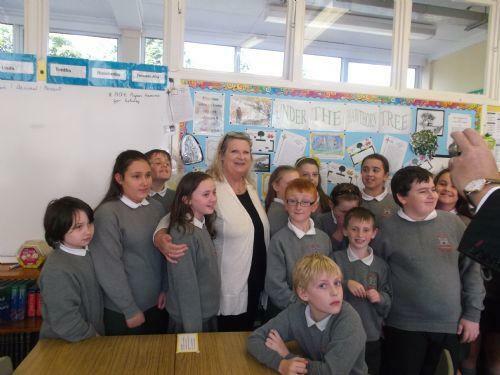 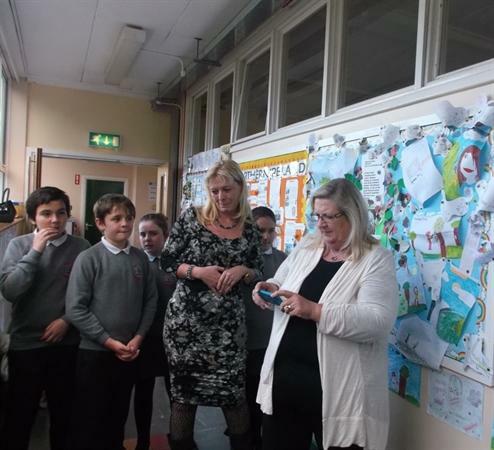 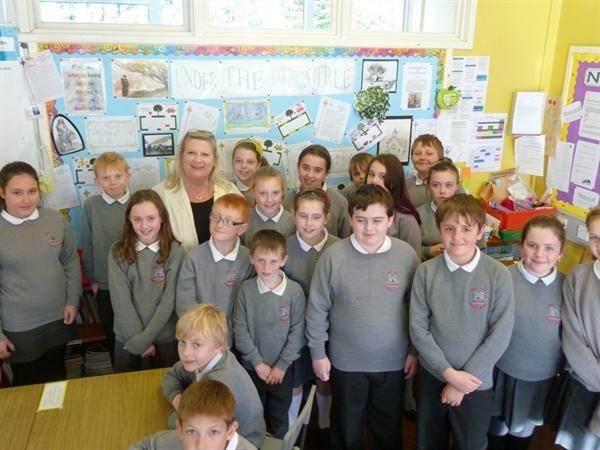 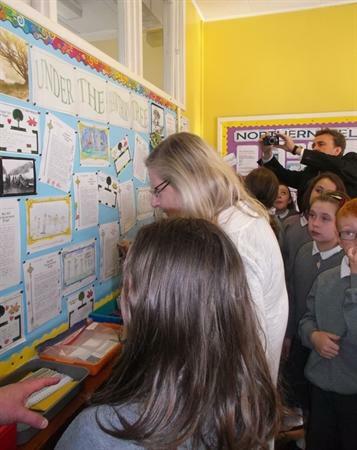 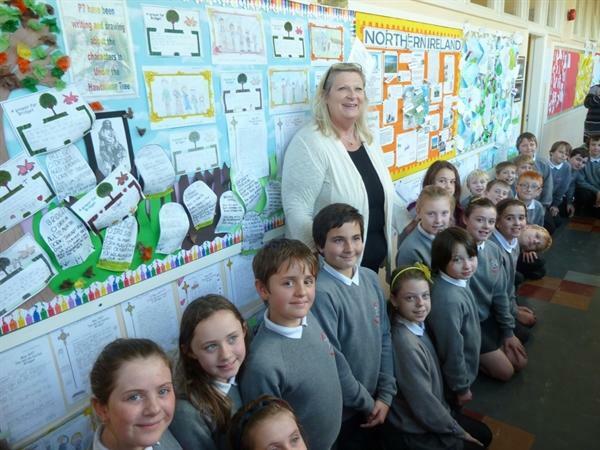 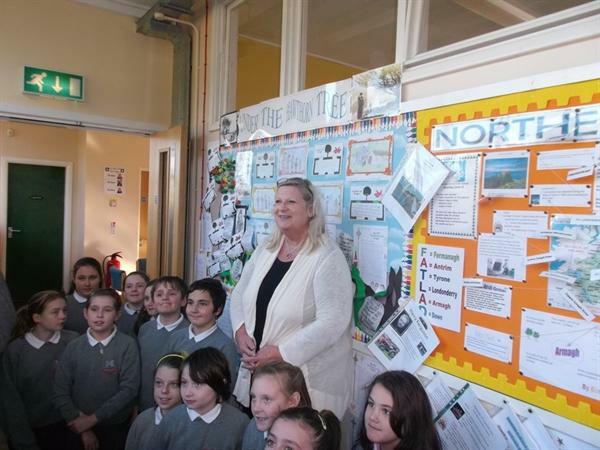 The children were also privileged that she came to visit the class at school to see all of their work. 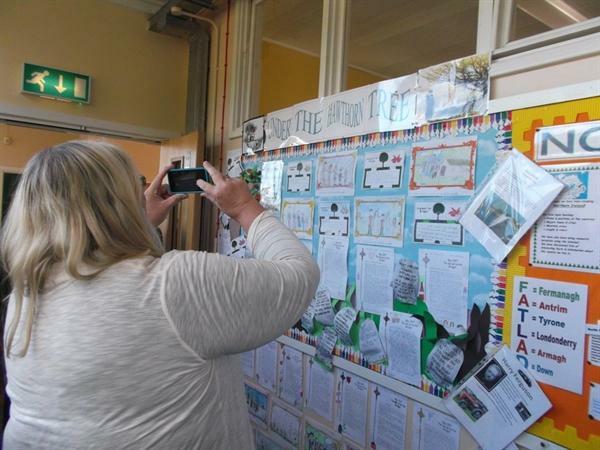 Marita was so impressed with our work she took photographs herself!! 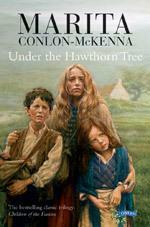 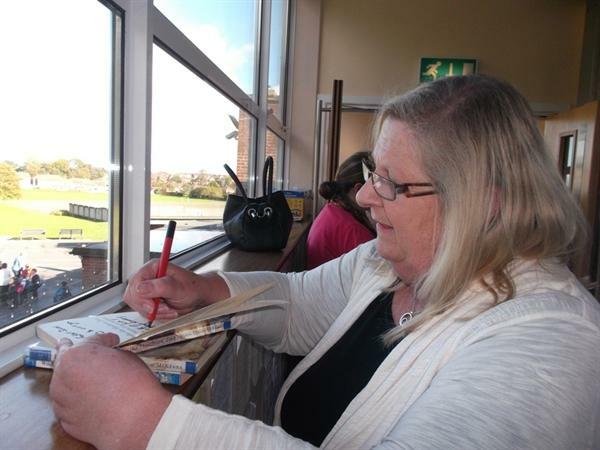 Click her to visit the Marita Conlon-McKenna website you can see what other books she has written and find out lots more!